Oversized jumpers, oversized skirts, oversized coats. Fashion right now is oversized. And if you still haven’t got used to, it’s defintely time. This time my tribute goes to the American brand, tibi. With their minimalistic fashion they appeal to many women who have a flair for modern style. 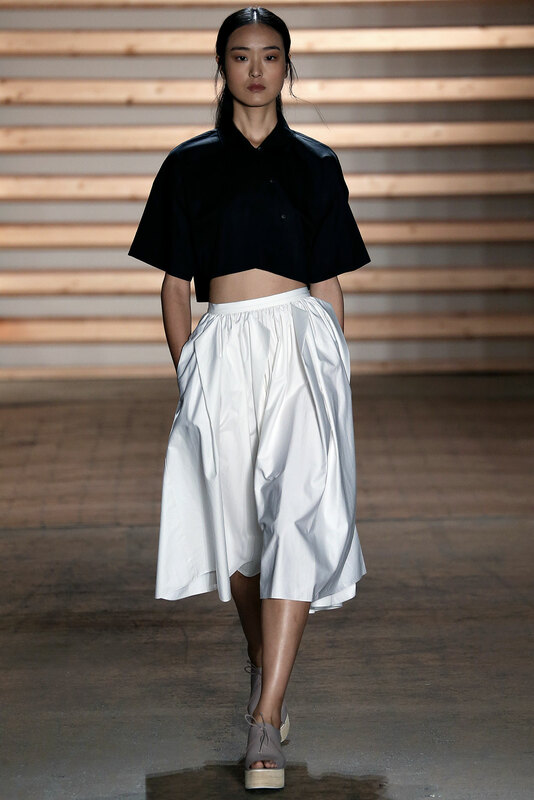 What I really like about this look , is the cropped top that combined with the skirt, it covers the bellybutton. And have you had a look at the malone sandals yet? I’ve got to tell you something about them.. they’re on sale, yay!.